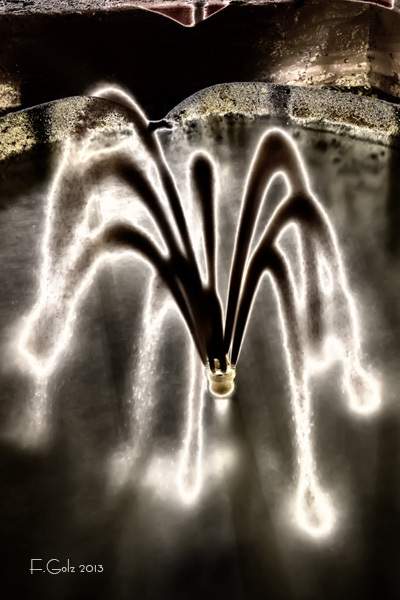 I photographed this small fountain after sunset using a thirty second exposure time. Using the solarisation filter I got this pretty interesting image. 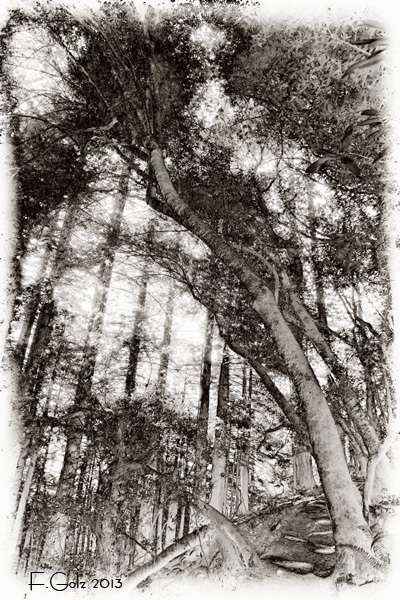 I photographed these tree in Muir Woods, located north of San Francisco. This time I used Nik Silver Efix pro’s santique solarisation filter to create this image. 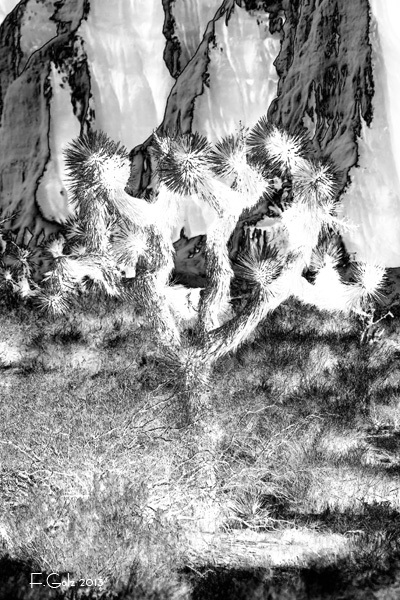 I photographed this Joshua tree in front of some big rocks. I wanted to see how the solarisation filter effects trees and rocks. I thought that there are some areas in the image where you can’t see right away if they are part of the tree or part of the rock. Let uns continue to work a second week on our solarisation project. 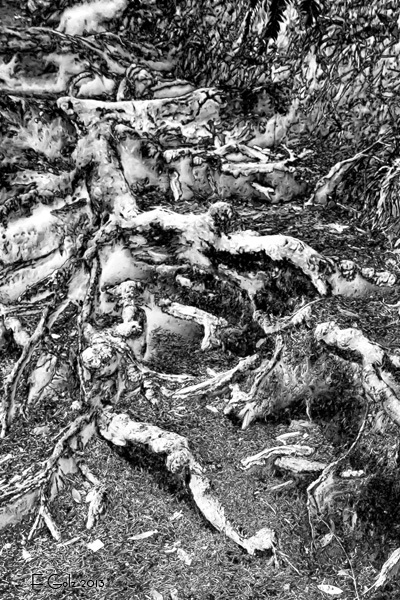 I photographed these roots in Muir Woods north of San Francisco. These tree roots make an excellent candidate for the Nik solarisation filter. 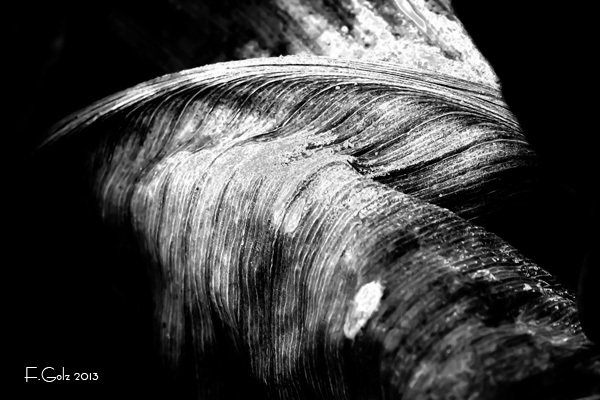 We had a few cold mornings in Central California and I went out early enough to photograph the frozen leaves. They turned out to be great candidates for my solarisation project. Enjoy and have a great week-end! My hotel room in Berkeley, CA had pretty old windows and in the morning the were fogged in. 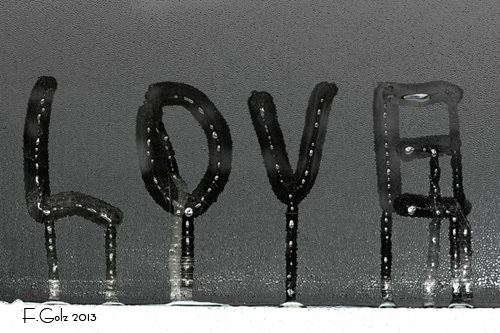 I wrote the word “Love” with my fingers and photographed it. In post processing I used Nik Color Efix pro again to create the solarisation effect. 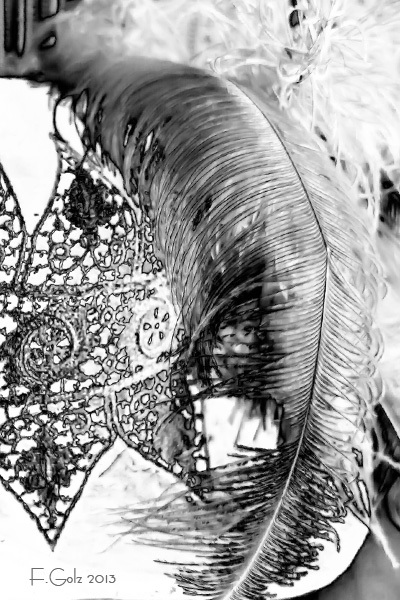 I photographed this old female hat with a feather attached. I thought this is a perfect candidate for the solarisation filter and it turned out just great. 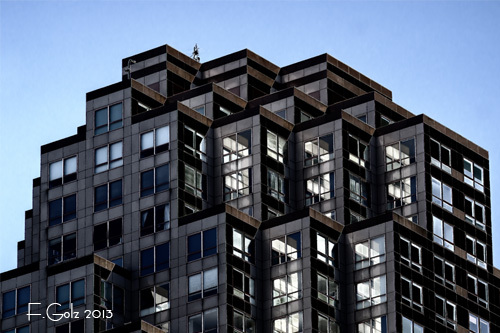 I photographed the top of this building in San Francisco and used the Solarisation Filter in Nik Color Efix Pro. I like how the reflection int he windows came out. The Solarisation or Sabattier effect is one of the earliest known photographic effect. You can read about it in Wikipedia (http://en.wikipedia.org/wiki/Solarisation). Of course this effects can be created in Photoshop using NIK Color Efix or Silver Efix plug-ins. Of course you can create this effect also directly in Photoshop directly (http://photo.tutsplus.com/tutorials/post-processing/quick-tip-using-adobe-photoshop-to-create-a-solarised-photograph/). Keep in mind, not every image is suited for this effect! So here is the exercise for the week: Create images with the help of the Solarisation effect. 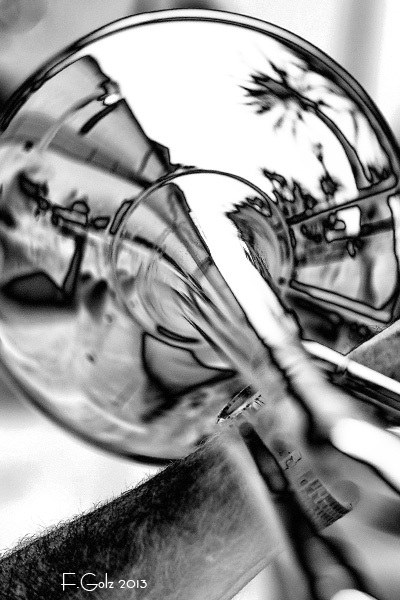 I found that the reflection in this instrument in contrast to the arm of the player is quite interesting. As always, enjoy this exercise! 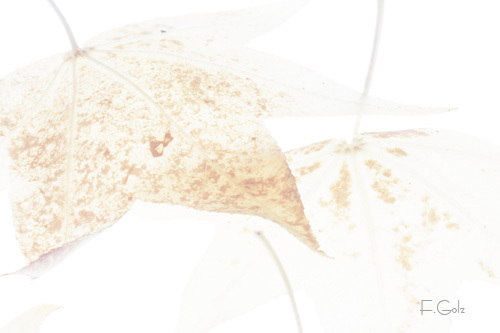 Since leaves are translucent I photographed them using a lightbox as background. Just collect a bunch of leaves and create an arrangement on a piece of glass that is covered with a white sheet and arrange for a light source underneath the sheet and you are ready to go.